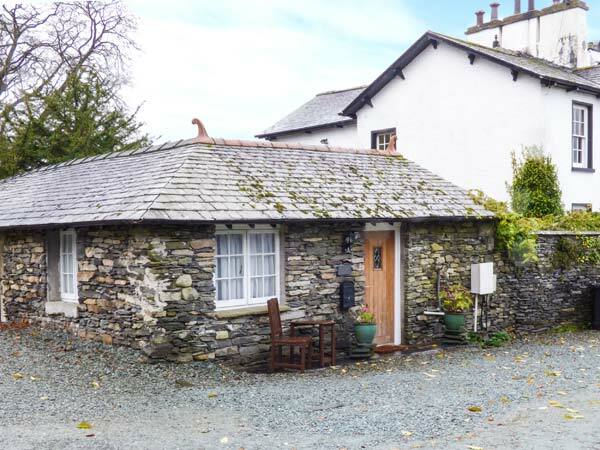 Ees Wyke Studio is a cosy, semi-detached studio cottage in the village of Near Sawrey, close to Sawrey itself in Cumbria. The cottage can sleep two people in open plan studio accomodation with one double bed, a kitchenette, dining area and sitting area.The cottage also contains a shower room. 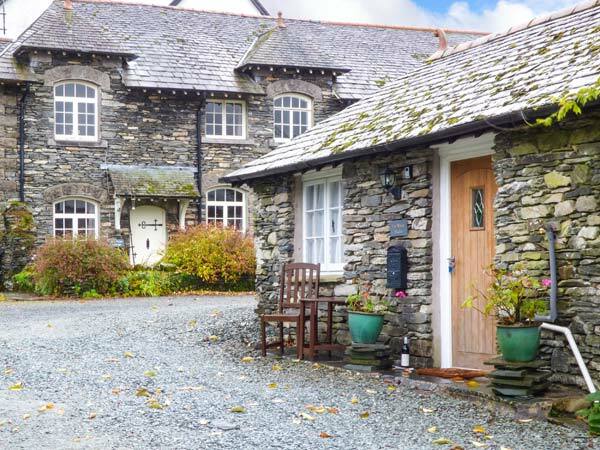 To the outside of the cottage is off road parking for one car and a from gravelled sitting area with furniture. Located in beautiful countryside, Ees Wyke Studio is a lovely cottage suitable for a great holiday at any time of the year. All ground floor. Open plan studio accommodation with double bed, kitchenette, dining area and sitting area. Shower room with shower, basin and WC. Electric central heating. Combi microwave/oven, electric 2 ring hob, fridge, TV with Freeview, DVD, WiFi. Fuel and power inc. in rent. Bed linen and towels inc. in rent. Off road parking for 1 car. Front gravelled area with furniture. One well-behaved pet welcome. Sorry, no smoking. Shop 2 miles, pub 2 mins walk. Note: Adults only.